Art.nr:: 4151 Kategorier: BMW, ENGELSKE HÅNDBØKER. Saloon & Estate (Touring); 520i, 523i, 525i, 528i & 530i. 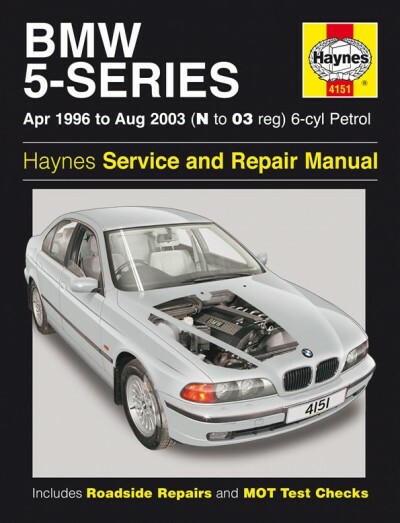 Does NOT cover 535i, 540i or M5 with V8 petrol engines or new 5-Series range introduced September 2003. Petrol: 2.0 litre (1991cc), 2.2 litre (2171cc), 2.5 litre (2494cc), 2.8 litre (2793cc) & 3.0 litre (2979cc) 6-cylinder.